Singing the Red Flag, the highborn sons of the British upper-class lay on the carpeted floor spinning out socialist schemes in homosexual intermission. Sometimes, one of the participants would shout out an obscenity - then, as if on signal, the entire group would join in a frenzied babble of profanity. Here and there individuals would smoke or chew hashish. Most had unkempt long hair, and some sported beards. 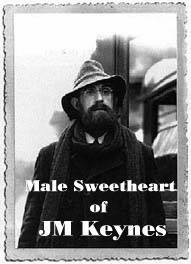 Keynes was characterized by his male sweetheart, LyttonStrachey, as “A liberal and a sodomite, an atheist and a statistician.” His particular depravity was the sexual abuse of little boys. 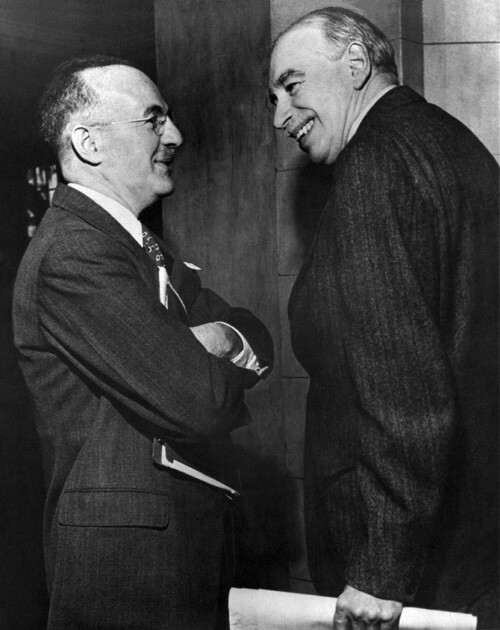 In communications to his homosexual friends, Keynes advised that they go to Tunis, “where bed and boy were also not expensive.” As a sodomistic pedophiliac, he ranged throughout the Mediterranean area in search of boys for himself and his fellow socialists. Taking full advantage of the bitter poverty and abysmal ignorance in North Africa, the Middle East, and Italy, he purchased the bodies of children prostituted for English shillings[See Lytton Strachey, A Critical Biography, Michael Holyroyd, Holt, Rinehart and Winston, two volumes]. Je ne peux lire nulle part un tel ramassis de ragots concernant Keynes sur Internet. Curieux acharnement, assez peu crédible.